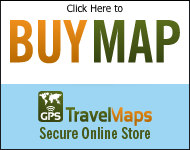 GPSTravelMaps.com has been updating and offering a comprehensive GPS map for Garmin devices of Haiti since 2009. In 2010 a magnitude 7.0 earthquake occurred near the town of Leogane, just outside Port-Au-Prince. Immediately thereafter relief efforts began in Haiti, many of which flowed through the Dominican Republic, and provided much needed medical and food services to the Haitian citizens affected by this natural disaster. Haiti is a country unfamiliar by most as it is not a typical 'tourist' destination apart from Royal Caribbean Cruise Lines stop in Labadee in the north of the country, an area not affected by the earthquake. Many organizations including military, international and local NGOs and individuals were seeking accurate GPS navigation to help them navigate the Haitian roads. These roads, however, we severely damaged and blocked with earthquake rubble. GPSTravelMaps sourced information from various locations including social media to learn of the conditions on the ground and update the map accordingly. At this time, we provided the GPS map at no charge to relief workers so that they could do their work without the additional cost to their organizations. We have continued to update the Haiti GPS Map with our most current update in March 2014. Added 80 km of new roads. Added 7 km of oneways. Added names to 30 km of roads. Improved navigation in Ile a Vache, The Citadelle LaferriËre, Cap Hatien, Camp Perrin, Kenscoff, Port-a Piment, Debaucher, Roche-a Bateau, Potr Salut, Torbeck, Les Cayes, Jacmel, Mole Saint Nicolas, Petionville, Jereme, Bonbon, Abricots, Dame Marie, Anse-d Hainault, Les Irois, Tiburon, Marigot, Les Anglais. Added over 269 km of new roads. Added over 50 km of new roads. Added road names to Hinche. Improved navigation in Hinche and Gonaives. Added POI's throughout Port-au-Prince and Petionville. Added oneway street in Port-au-Prince and Petionville. Improved navigation and search features.